There is a saying in Brazilian Jiu Jitsu attributed to master Carlos Gracie Sr. “There is no losing in BJJ only winning and learning”. I also read an article recently by Prof. Tom DeBlass who said he is tired of hearing that quote because losing is an inevitable part of the game. I happen to agree and resonate with both of these wise men. I think I understand what both are getting at. And I love that Jiu Jitsu offers a forum to practice both humility and excellence at the same time. Master Gracie’s quote defines the reality that in Jiu Jitsu you will fail over and over again. And that is how you learn. You embrace the failure and take humble inventory of what led to it. To fear failure in this sport is a roadblock to learning and development. For this reason it is a great life practice. You learn resilience and how to deal with discomfort. All for the sake of growing and getting better at the craft. You have to take your lumps. But how you do it and what kind of person you are in the process is really important. Humility and graciousness are key ingredients to consistent growth. If your pride gets in the way you block yourself from the important lessons that are available. There are prideful people in Brazilian Jiu Jitsu. Tons of us! Ego is as present on the mats as anywhere else. But in, what I would consider, great schools, there is a culture that allows for ego. And coaches, professors and masters provide ways to address and manage your ego in ways that are beneficial for individual and communal growth. Ego drives us. Channeling that drive to accomplish great things is something I am grateful to the sport for. I think Professor DeBlass is also making a great point. It is okay to want to get better. And it is good to realize that sometimes you will lose. That does not make you a loser. Accepting defeat and remaining defeated will lead to more defeat. But accepting defeat and being accountable to what makes you better, takes courage, dedication and even enough intensity to overcome. Those are all key ingredients to successful Jiu Jitsu. So, I think my take aways from these two teachers is that you can be defeated and still gain. 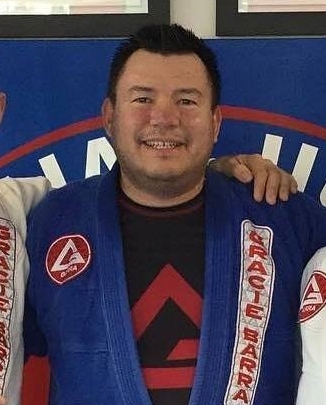 Any gain as a person or as a Jiu Jitsu player is a win, even if it comes through defeat. But work hard to learn and grow. And you can shake hands and show gratitude when someone submits or outpoints you. But you don’t have to stay in the same place. And you don’t have to pretend to have false humility just for the sake of seeming like a Jiu Jitsu zen master. Grace is a mark of strong character. It allows you to accept yourself as imperfect while at the same time drives you to put forth your deepest efforts. In faith it is the thing that makes everything else make sense. Accept your imperfect self, made valuable by God’s love, and set your mind on the goal ahead with fullest heart. Keep moving. Keep growing, don’t settle for mediocrity.